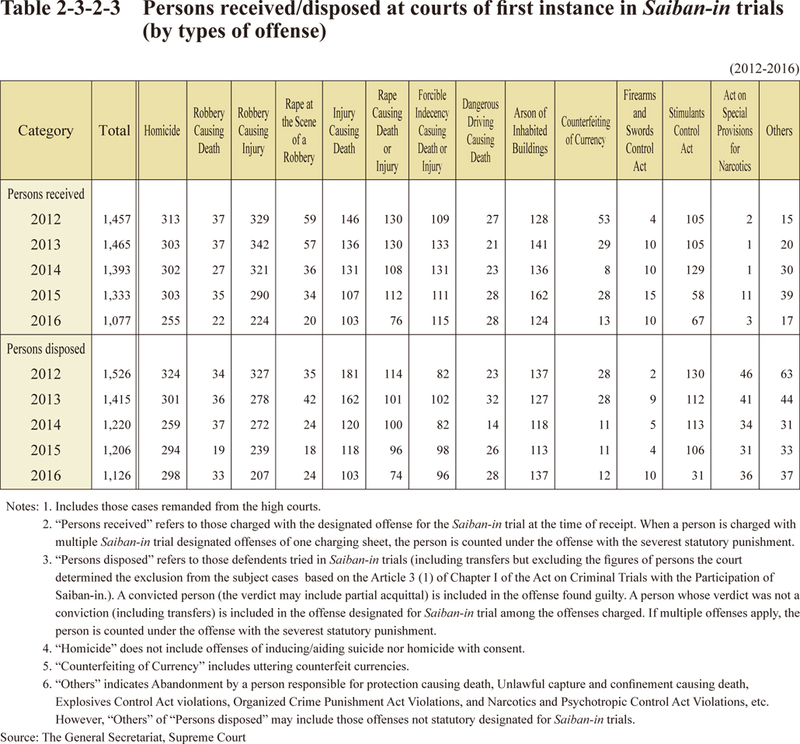 Saiban-in trial refers to a type of trial at court of first instance pursuant to the Act on Criminal Trials with Participation of Saiban-in (hereinafter Saiban-in Act, Act No. 63 of 2004) under which the court consists of professional judges and Saiban-ins, who are laypersons chosen from the public for each case (usually, three professional judges and six Saiban-ins for a case) and who try cases of designated offenses. The designated offenses are offenses punishable by death or life imprisonment, or offenses that caused a victim to die by an intentional criminal act punishable by a minimum term of imprisonment of not less than one year. In Saiban-in trials, the professional judges and Saiban-ins adjudicate and decide sentences together. 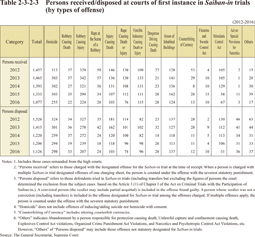 Table 2-3-2-3 shows persons received at courts of first instance and conclusively disposed by Saiban-in trials, by types of offense.